While the laity is not bound to pray the Divine Office, they are still encouraged to pray the Divine Office (also known as the Liturgy of the Hours). To pray the Divine Office, I would highly encourage you to pray the 1962 Breviary or even the 1955 version as opposed to the modern version which I find lacking in the spiritual depth present in the earlier editions. Since you are not bound under ecclesial law to pray the Office, you can and should start by praying the English version of the Breviary. You can find various breviaries available for sale that will fulfill this purpose. For centuries Catholics prayed most commonly not with personal prayers and devotion as such individual prayers originated from protestant individualism. Instead, Catholics prayed the Liturgical texts of the Church (e.g. the Prayers of the Holy Mass, the Rosary, etc) daily and many were saved. In our world we see the majority of mankind entrenched in sin and debauchery. Let us pray for a return to our praying the Liturgical prayers of the Holy Church. Pray the Daily Rosary as Mary has asked of us! However, please also consider, in addition or instead of the standard Divine Office, the Little Office of the Blessed Virgin Mary for your daily prayers! While certainly not only permitted for use on Saturdays, Saturday is an appropriate time to focus on the Immaculate Heart of the Blessed Virgin and on her great promises with the Green Scapular. Many of you should be familiar with the Brown Scapular as you should have been invested in the Brown Scapular following your First Holy Communion. I have written before on the merits of the Brown Scapular. While they are not to be underestimated, I will not focus additional time on the Brown Scapular. Instead, we focus in this post on the Green Scapular of our Lady. In 1840, Mary appeared to Sister Justine Bisqueyburu (a Seminary Sister of the Daughters of Charity) in Paris, France and commended the Green Scapular to her. 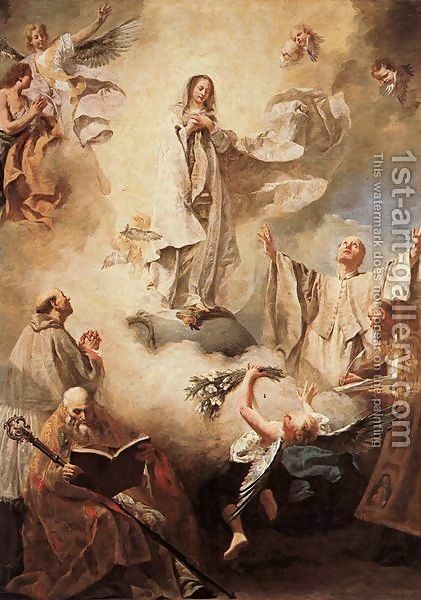 It's known as "the Scapular of Conversion," and its promises are the strengthening of faith, protection against Satan, a happy death for Catholics, and, most of all, for conversion for those outside the Church. It's to be worn or carried by the faithful, or given to an unbeliever for their conversion. My guess would be that since Frank Duff founded the Legion in 1921 & the Fatima prayer wasn't approved for use until a decade later - it was simply never incorporated. The Legion method clearly states however that if you are already offering a rosary for any other intention, it is not necessary to recite an additional one for the purpose of your daily "Tessera" prayers. For uniformity worldwide, when said in meetings (given all that each has written below), it makes sense to go with the original version as was done when the Legion was born.